My wife and I were on a business trip that took us north of Bloomer, Wisconsin. 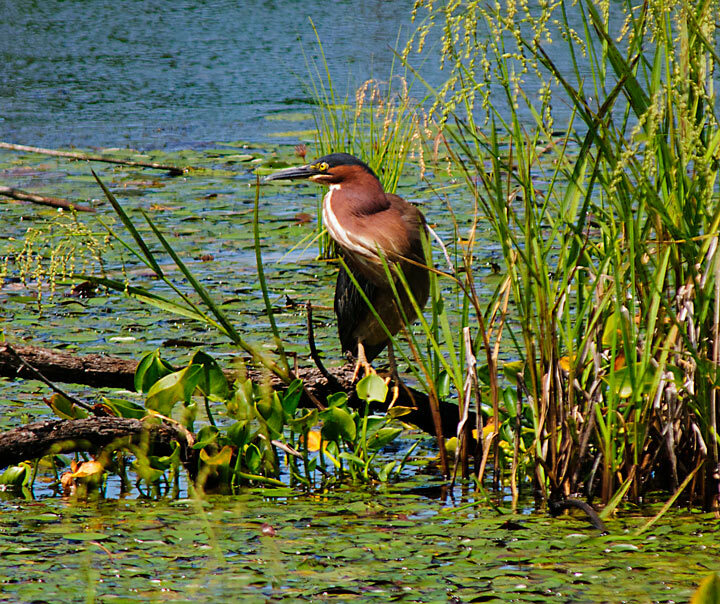 We realized that we were not far from the Island Lake Rookery so we drove over to check things out. We were looking for all of the usual suspects and found them all. 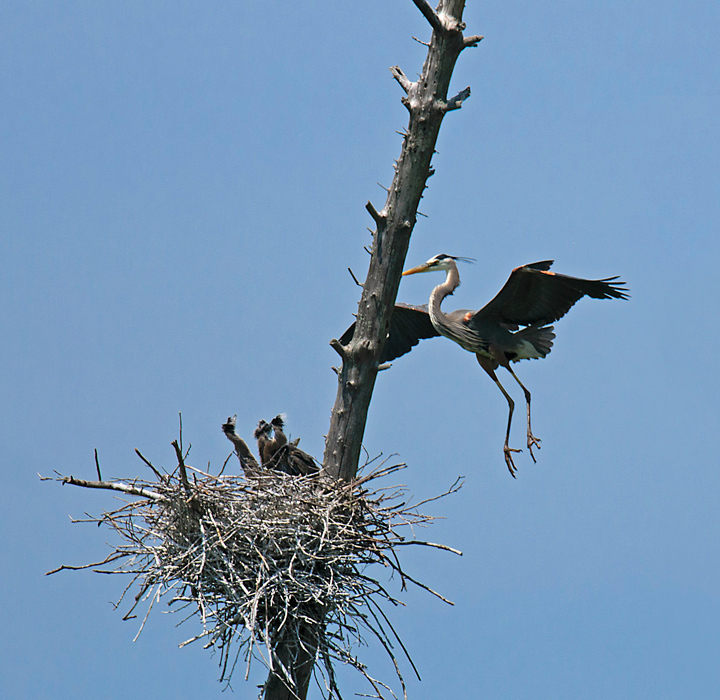 The main attraction is the large number of Blue Herons that are nesting in the area. We counted about twenty nesting herons. This seems to be a bit less than in past years. It also appears that some of the dead trees have fallen down. The young herons are getting big. I think they are about a month old now and growing fast. We happened to arrive in early afternoon so there wasn’t a lot of activity. 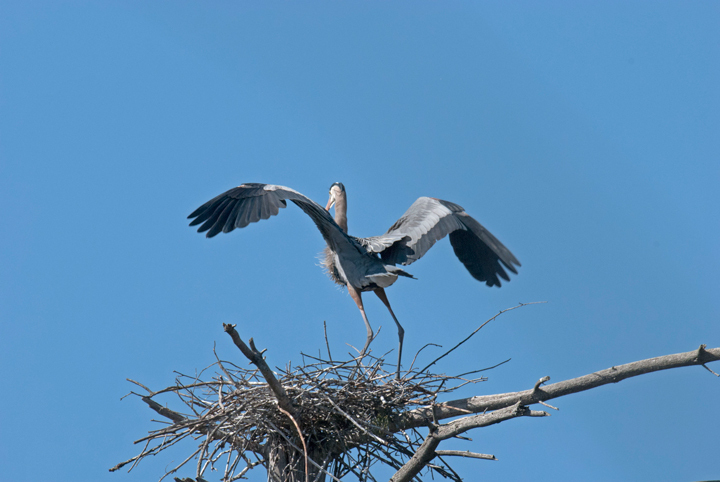 A few herons were flying in and out of the nest. It looked like the adults were dumping food on the nest rather than regurgitating it into the moths of the young. 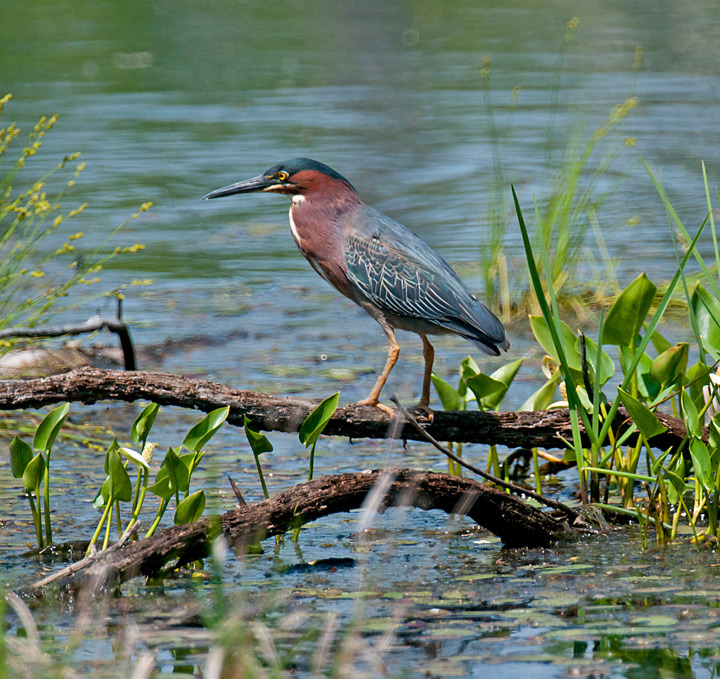 The second reason to visit the rookery is to see the Green Herons. We usually see a couple of them but this trip we saw six of them flying around. Most of them were too far away to get a shot but one spent quite a bit of time hunting for food within camera range. 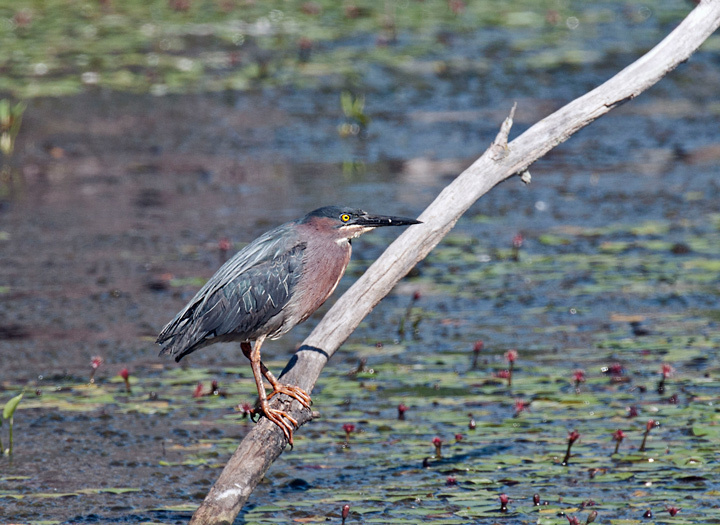 This is one of the better locations for photographing Green Herons because you can get fairly close to them. 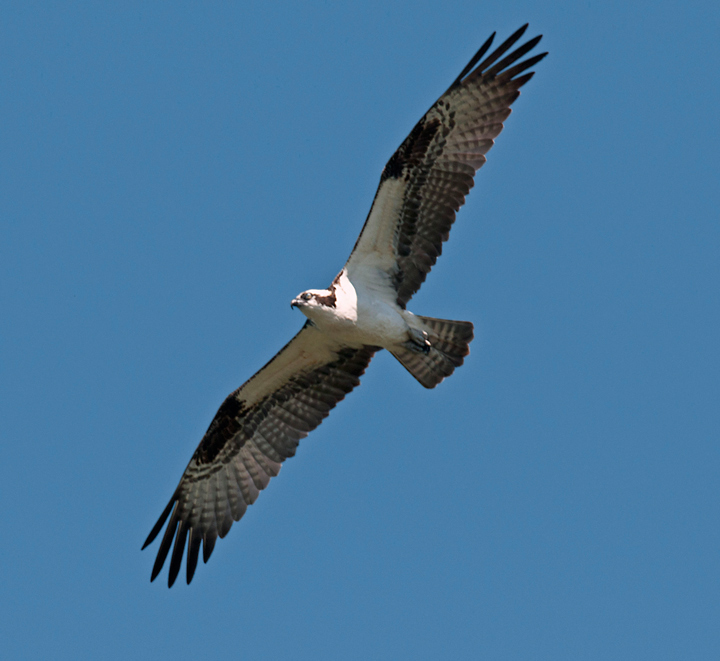 The third bird we were looking for was the Osprey. 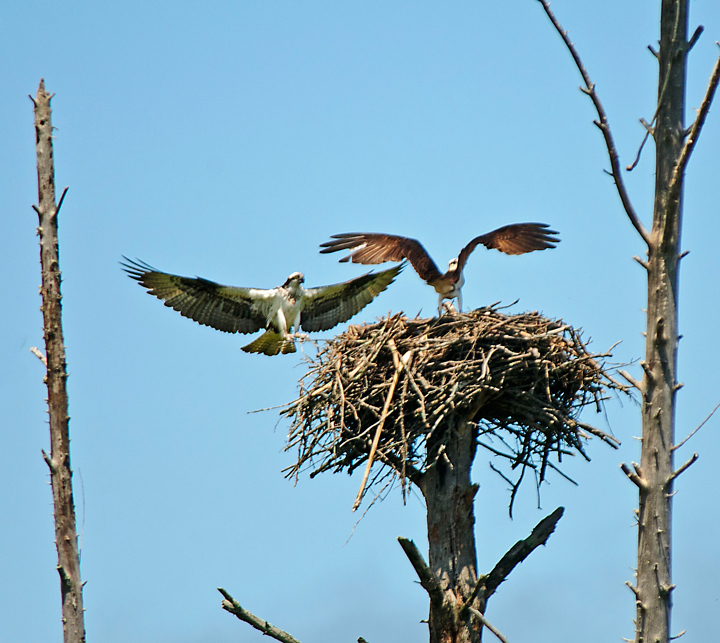 There is a large Osprey nest in one of the trees in the pond. Both adults were at the nest but we couldn’t see any young. 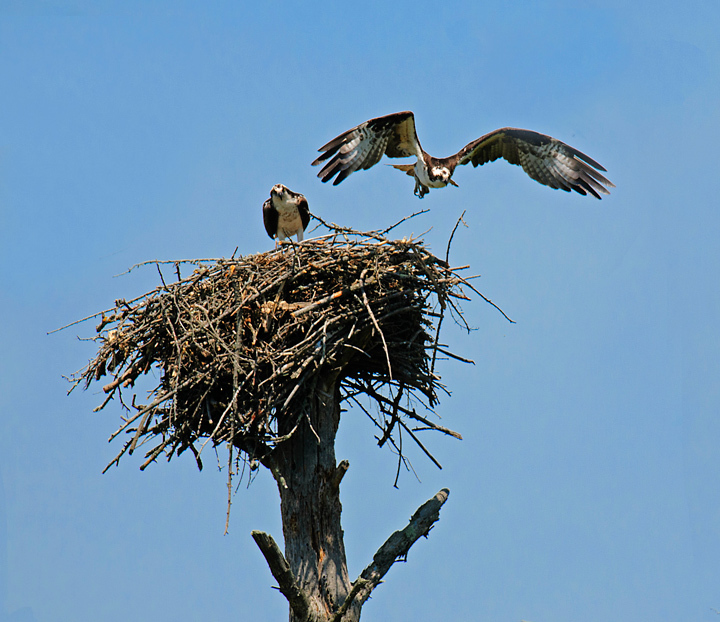 I think that Osprey nest a little later than Eagles so their young might not be as far along. 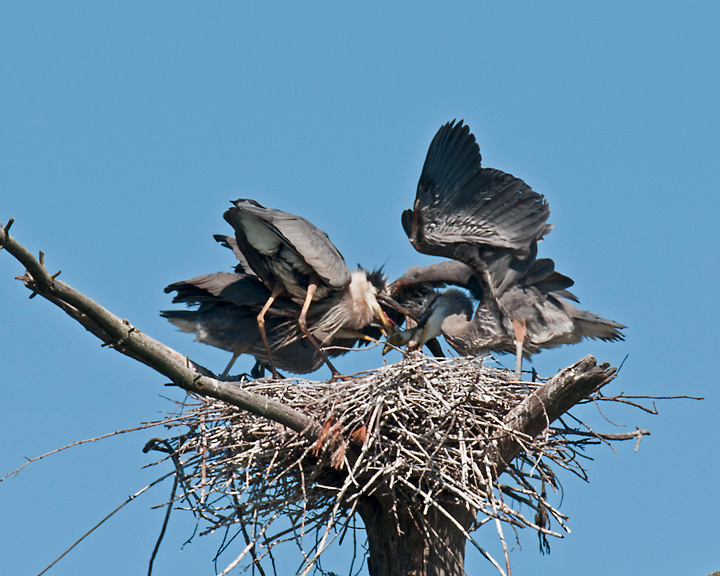 More photos from Island Lake Rookery can be found on my website.